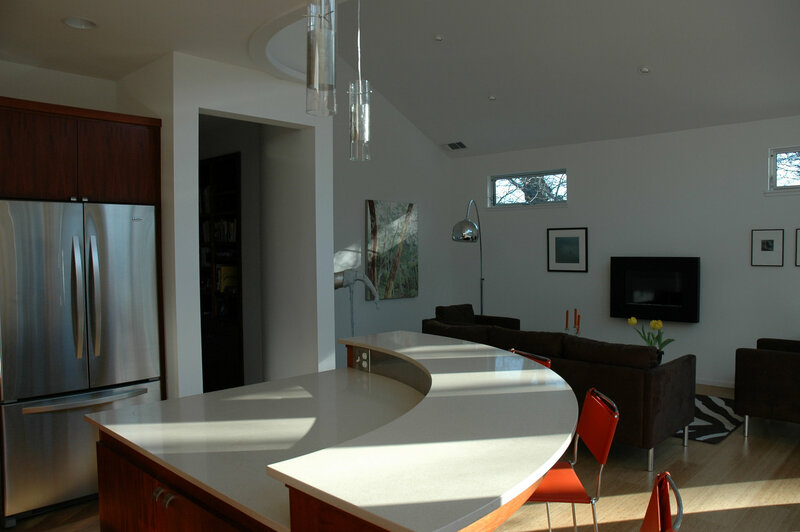 Conversion project of an existing 1,000 square-foot garage into a residence. Because the apartment was fairly small, Siteline dedicated extra attention to making the spaces interesting, both in shape and in volume. 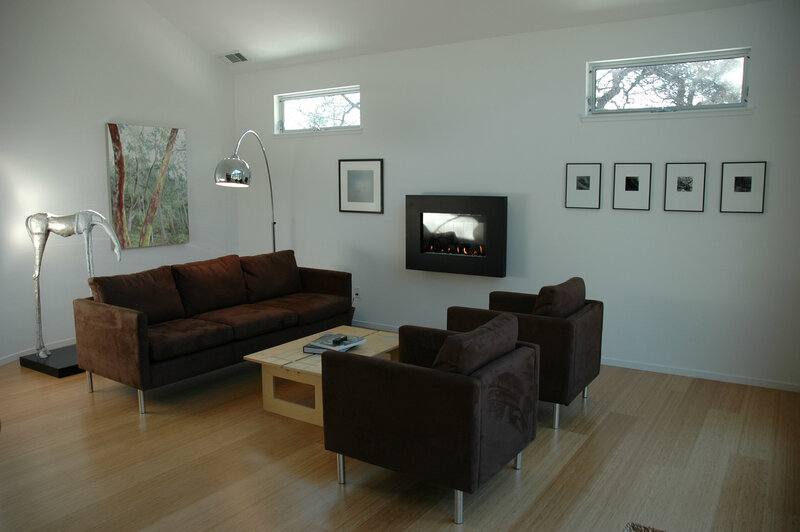 Curved walls and vaulted ceilings provide special details to each of the individual rooms. 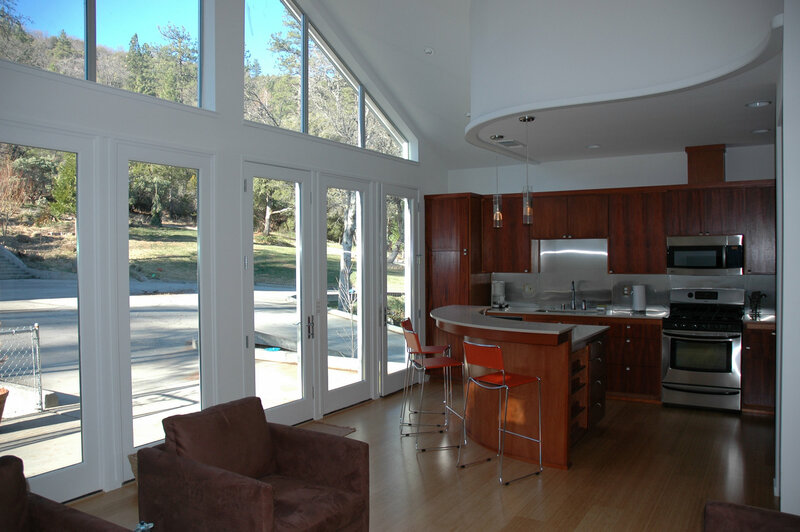 Finishes are all clean and contemporary and have a low carbon footprint. 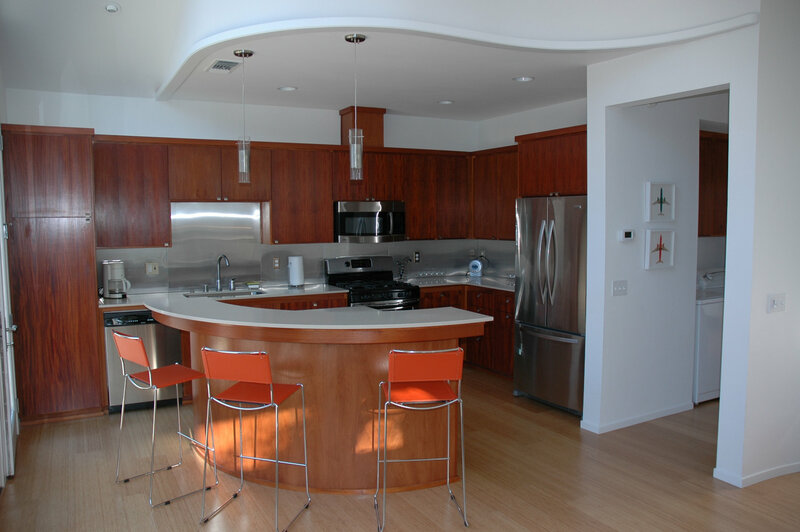 Casework and cabinets were left without much detail deliberately, to keep them from competing with the art on the stark white walls.